For the first time in nearly thirty years of marriage, Art McElroy Sr. buys his headstrong, disapproving wife a dozen yellow roses. Hours later he discovers her lifeless body seated on the toilet. Mae Rose McElroy's sudden death leaves a void in her family and in the entire Midwestern farming community of Fairview. It's a void Mae Rose will attempt to fill, herself, from the hereafter by meddling directly in earthly affairs. Mae Rose's meddling leads to her spiritual expulsion from heaven, and she winds up in the body of Mary Lee Broadmoor (Scary Mary), a crusty writer and director of exquisite horror movies. Mary Lee refuses to succumb to stage-4 pancreatic cancer until she gets one final shot at an elusive Oscar. Like Mae Rose, who argues with God for a return to earth, Mary Lee pleads, from her Hollywood deathbed, for more time to complete her work, as her hospice nurse, Gertie Morgan, looks on. Most times we never really appreciate our loved ones until they are gone from our lives forever. Art McElroy would discover this painful truth the day he lost his wife, Mae Rose and when the reality of him not being able to tell her how much he loved her hit him. When I chose to read this book, I had no idea what I was getting myself into. The author was new to me and this was her first novel, but the blurb drew me in and I agreed to read this title and provide my honest and unbiased opinion. 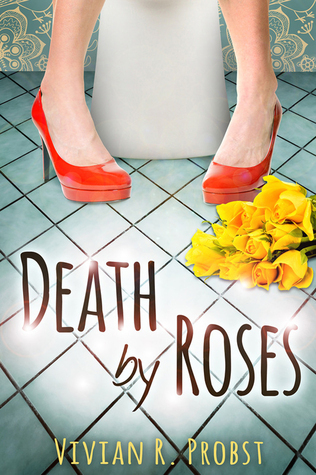 “Death by Roses is one of those stories that is likely to have a lasting impression on its readers. It certainly did so for me. There are times when you see a title for a book and you are at a lost as to how it fits in with the story. Well, this story left no doubt in my mind as the title fitted the story perfectly. This story had me laughing and crying at intervals, has I followed the characters on their journey of self-discovery. My favourite characters were Mae Rose McElroy and Mary Lee Broadmoor aka ‘Scary Mary”. She was given that nickname due to her penchant for writing horror stories. They were both determined women who were not afraid to speak their minds and would stop at nothing to achieve their desired goals. They started out being unlikable, but by the end of the story I could not help but love them both. I enjoyed watching them after much introspection, tried to right their wrongs which at times were humorous yet poignant. I enjoyed the author’s exploration of life after death and her unique concept of heaven. The story resonated with me, having experienced the loss of loved ones. It was a stark reminder of how precious life is and should not be wasted. It made me realise that life is too short to be harbouring unforgiveness in our hearts. We should try to be kind and forgiving to our loved ones as we never know when they will suddenly be taken away from us. This was a beautiful story of love, forgiveness, and healing. It kept me hooked until the very end. To be honest, I didn’t want it to end. If you enjoy stories with quirky characters that will not only make you laugh, but cry as well and touch your heart in a profound way, then you will enjoy "Death by Roses". 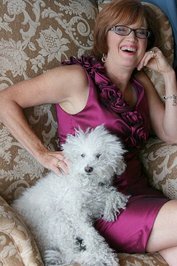 Vivian Probst is an award-winning author and speaker whose message comes from an inner fire that compels her to search out the unique brilliance of every human being. She is an indefatigable researcher into matters of the heart, mind, soul, women’s issues, science, language and the afterlife. Vivian ‘suited up’ for this work with a deeply religious background and early training in culture and linguistics. A former missionary then displaced homemaker living in poverty, Probst rose to become a national consultant to the affordable housing industry. She has captured the hearts of thousands with her unique gift of insight, humor, and her passion to bring out the best of who we really are through stories. Since 2013, Probst has been a certified Practitioner of Akashic Records. She lives in Wisconsin and is happily married.